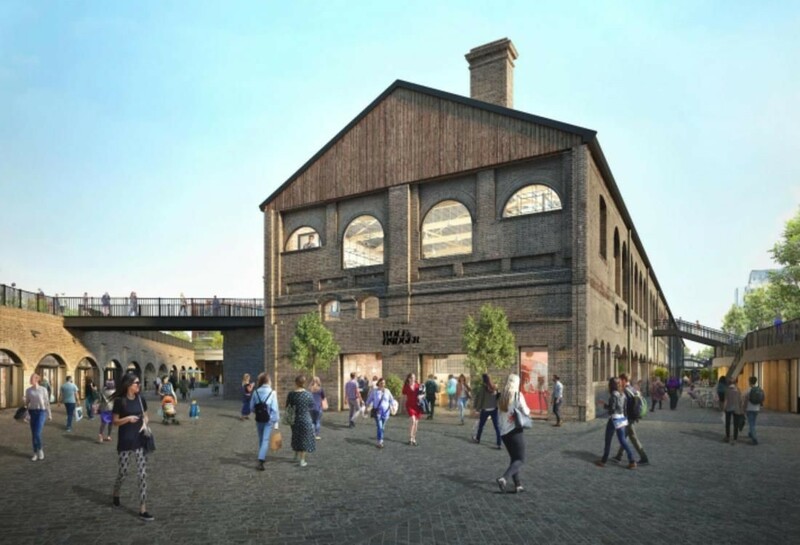 British fashion retailer Wolf & Badger is opening a flagship store at Coal Drops Yard, the new retail quarter at King’s Cross Central opening this autumn. Wolf & Badger will open a three-storey, 12K SF store selling womenswear, menswear, accessories, jewellery, beauty and homeware. It will also include a juice bar run by Raw Press and a restaurant on the third floor in collaboration with a soon-to-be announced top-end chef. The new store will open in the space which until 2006 was occupied by famous London nightclub Bagley’s. Wolf & Badger has two small boutiques in London, which will be consolidated into the new store. The store will also include the retailer’s photography studio and head office. The move shows how online retailers are increasingly looking for brick-and-mortar retail to increase their brand presence and reach. While it started life as a boutique in Notting Hill in 2010, the main thrust of its business is now an online platform which stocks items from a roster of more than 700 brand partners. Argent is developing the scheme, which is majority owned by pension find AustralianSuper. The items Wolf & Badger sells come from undiscovered labels and more well-known names, and are curated to be unique and ethical. It already has a similar store and events space in SoHo in New York. Coal Drops Yard was designed by Heatherwick Studio, and the 100K SF scheme will comprise 55 stores, including a 20K SF flagship store to be occupied by Samsung. Paul Smith, Tom Dixon, Cubitts, Universal Works, Maya Magal and Alain Ducasse’s Le Chocolat, as well as restaurants Barrafina, Casa Pastor and wine bar The Drop, are among those to have been confirmed to open so far. Coal Drops Yard was established in 1850 to handle the eight million tonnes of coal delivered to the capital each year, and was the location of famous nightclubs Bagley’s and The Cross. “This was the site of the legendary Bagley’s nightclub, where people gathered from far and wide for a shared experience, and Wolf & Badger are very much channelling this energy and spirit into creating a space that’s more than a store — it’s a meeting place,” Argent Senior Project Director Craig White said. Nash Bond and Hanover Green are the leasing agents on Coal Drops Yard.